Sinus augmentation (sinus lift) is performed when the sinus floor is too close to the area where dental implants are to be placed. This procedure is performed to ensure a secure place for the implants while protecting the sinus. While this procedure is not uncommon, not all implant cases will require a lift. Our certified Los Angeles periodontists will review your case and determine if a sinus lift is necessary. 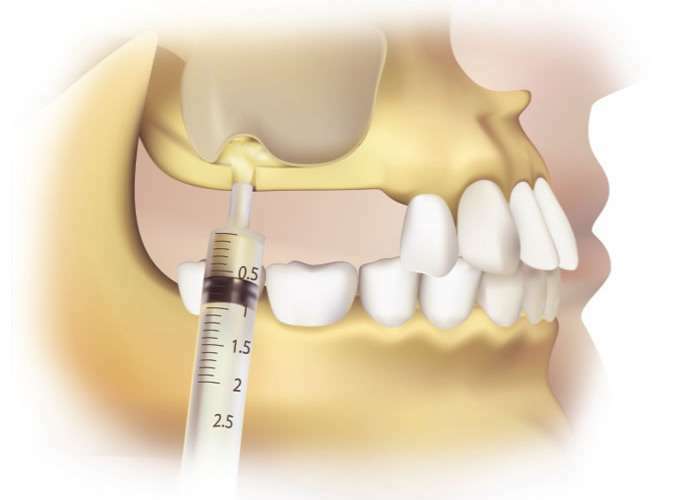 A sinus augmentation procedure is a relatively common form of oral surgery designed to increase the maxillary bone height so that reconstructive work, such as dental implants, can be performed. The maxillary upper jawbones are located behind the cheekbones and run from under the eyes to the area just above the upper back teeth. It is very common that the upper back teeth roots will protrude into these sinuses and, if the teeth require to be removed, not much supportive bone is left between the maxillary upper jawbone and the mouth. This creates a problem because it means there is insufficient natural bone in which to anchor a dental implant. The sinus lift aids in creating more room for your implants to be placed and decreases the chances of having issues with your implants in years to come. First, either board certified Beverly Hills periodontist Dr. Aalam or Dr. Krivitsky thoroughly reviews your medical history, as well as the health of your upper sinus membrane. Then, the anatomy of your upper jaw and sinuses is examined with the use of X-rays. CT scans are also often used, as they accurately measure the height and width of your existing bone. During the sinus augmentation procedure, our expert periodontal specialists enters the upper jawbone from the location of the missing upper tooth or teeth. The upper sinus membrane is then gently manipulated upward after which a bone grafting material is placed at the base of the sinus. When there is sufficient bone present between the jaw and the sinus bottom, Dr. Aalam or Dr. Krivitsky can then proceed to place a dental implant. The bone and any bone grafting material must be thoroughly integrated for the dental implant to be successful. Complete and successful healing may take several months, or in certain cases, implants can be placed at the same time, shortening the healing process. Our Los Angeles periodontists will determine which option is best for you.